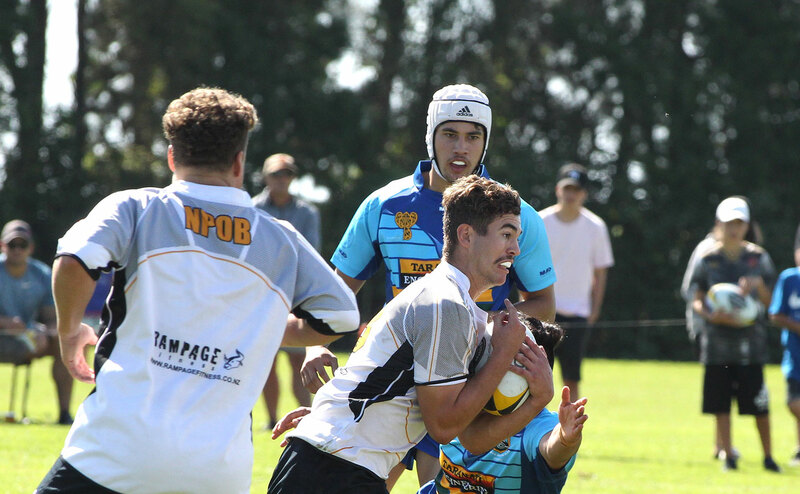 The 2018 season got underway over Easter weekend with matches for the Premiers, Senior Division 1 and Colts against Clifton at Tikorangi on Good Friday. The Senior Division 2 match scheduled for Easter Saturday at Okaiawa did not take place. The BCD Group Premiers got away to a great start in its match with racing to a 12-0 lead with two tries in the opening 10 minutes but then surrendered the lead to Clifton who lead 21-12 at the break. Old Boys managed to stay in the game and fought back to finish strongly with a last minute penalty to gain a competition point before going down 27-22 to a committed Clifton side. Players to stand-out for Old Boys were Shaan Waite, Jahmarl Weir and Tupoa Va’ai. While the team didn’t achieve the result they were looking for they will have learnt some valuable lessons that can be implemented in the coming rounds. The Alsco Senior Division 1 side turned in a great first-up performance to comfortably win its match 32-10. The team looking a bit light on squad numbers in the lead up to this match, found its feet early and dominated the game throughout. Old boys ended up with a five tries to two victory. Players to stand-out for Old Boys were Matt Harold, Rick Fabish, Willie Lane and Jesse Goodwin. The Pepper Construction Colts also got its season underway with an excellent 18-3 victory over its Clifton counterparts. It’s great to be able to field a team in this competition and pleasing to see the lads performed with distinction. The team had a great attitude for their first competition game and played well as a unit but the key to the victory was their committed defence. Players to standout were Jared Ritson, Brad Rigden and Fletcher Broderick. This weekend will see all senior sides playing at the White House against Coastal. The Premiers, Division 1 and Division 2 sides will play on Saturday 7 April. The Colts game was played under lights on Thursday night (5 April) to accommodate weekend travel plans of some members of both teams. The Colts side turned in an impressive performance winning 50-8. In difficult conditions under lights the team had an effective kicking game which got them into the right positions on the paddock and got them on the front foot. They also managed to string phases together with good ball movement and hand-to-hand passing. Players to stand-out were Callum Murfitt, George Smith and Devin Lewis. Next weekend (14 April) all senior sides travel to the TSB Hub in Hawera to take on Southern.